I hope that this post finds you well! We had some real spring like weather the past few days and then suddenly today it was freezing. Mother nature really needs to get her act together. I'm over the cold already! Lol. 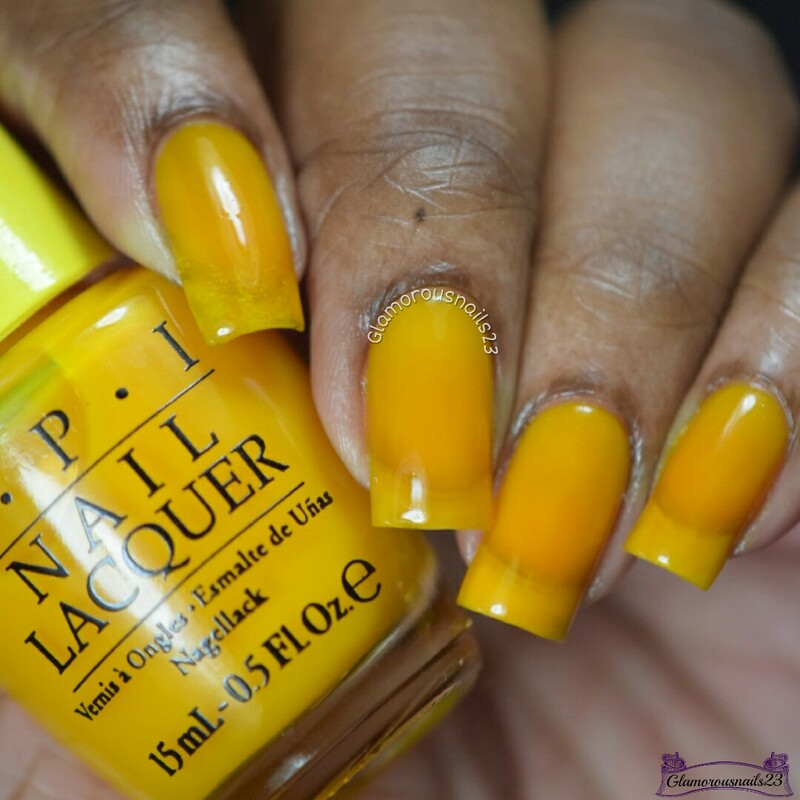 Today I'll be sharing this fun yellow polish from by +OPI Products. Let's get to it! 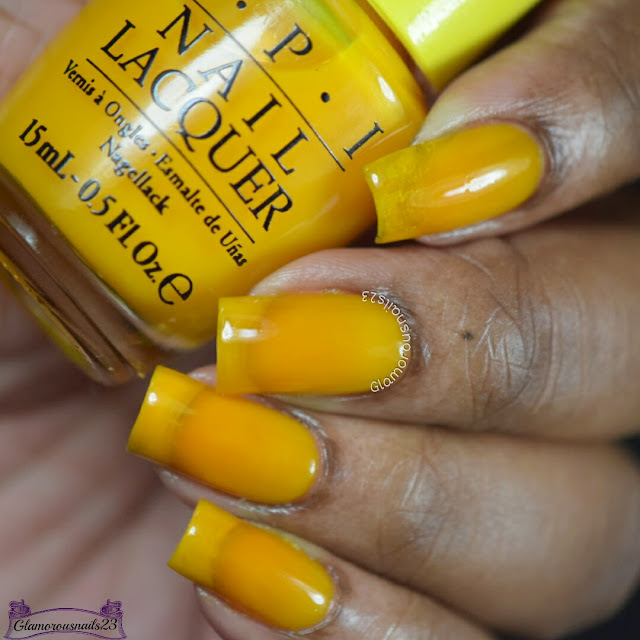 Primarily Yellow is a medium yellow jelly polish from the Colour Paints Collection. The formula with this polish was sheer (which is expected from most jelly polishes) but still had a good coverage. I did find though that this polish was a bit thinner than I was expecting and it did tend to flood my cuticles. Primarily Yellow would be a great polish to use when doing jelly sandwich manis! Shown is two thin coats with a top coat. 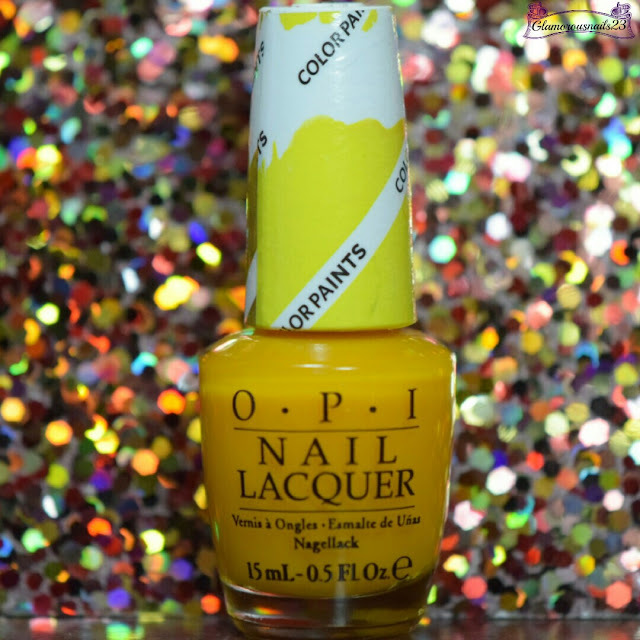 Do you own any polishes from the O.P.I Colour Paints Collection? I did a jelly sandwich recently and I remembered how much I love them! They are so much fun! I haven't done on in a while actually. I have so many mani ideas in general and not enough hours in the day and not enough fingers lol. I like the yellow polish, to find a great yellow polish are actually hard to find sometimes, since i think the majority of people don't like them. I have Summer here and with the water Crisis that we have here in South Africa, Cape Town i would really appreciated some winter with rain, It was a very long time that we had a proper rain day. It really does! Honestly when I saw it in the bottle I thought it was going to give me a hard time but that wasn't the case at all. Thanks Leanie. Yeah a decent yellow polish can be difficult to find at time. I hope that South Africa gets some rain soon!